Andrew studied at the University of Kent at Canterbury, where he won an instrumental award enabling him to study with Ronald Moore and with Julian Farrell. On graduating, Andrew joined the post-graduate course of the Royal Academy of Music in London, where his principal teachers were John Davies and Antony Pay. As a clarinettist Andrew has performed with orchestras throughout the UK including the London Symphony Orchestra and the Royal Liverpool Philharmonic Orchestra. As a conductor Andrew has worked with the Salomon Orchestra, the Oxford Sinfonia, Guernsey Camerata, the Singers of London, the Dorset Youth Orchestra and the Bangkok Symphony Orchestra. He is Director of Music at New Hall School in Chelmsford and has conducted the school choir in St. Peter's in Rome, the Duomo in Florence, St. Mark's Venice, Westminster Cathedral and on BBC television. 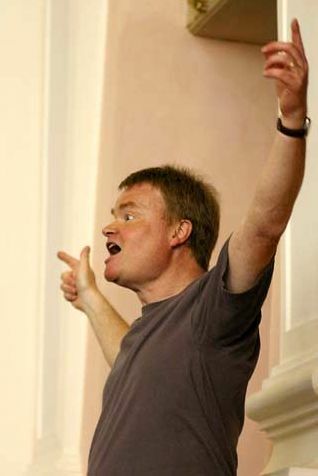 Andrew has been Musical Director of The Waltham Singers since 1983. A church musician since chorister days at parish and cathedral in Salisbury, Jonathan Lilley trained at The Royal Academy of Music as an organ pupil of Nicholas Danby. Whilst still a first-year student he held the organ scholarship at St George's Chapel, Windsor Castle, and gained the Fellowship of the Royal College of Organists. In 2002 Jonathan moved Ely Cathedral where as full-time Assistant Organist he accompanies the cathedral choir and assists the Director of Music, Paul Trepte, in all aspects of the training and running of the choir. He also acts as organist to King's School, Ely, who along with Ely Choral Society, and Ely Consort keep him active as a piano and organ accompanist.